News November 2014 - Microsoft has released Visual Studio 2013 Community Edition which is free. Therefore this page is no longer of relevance. 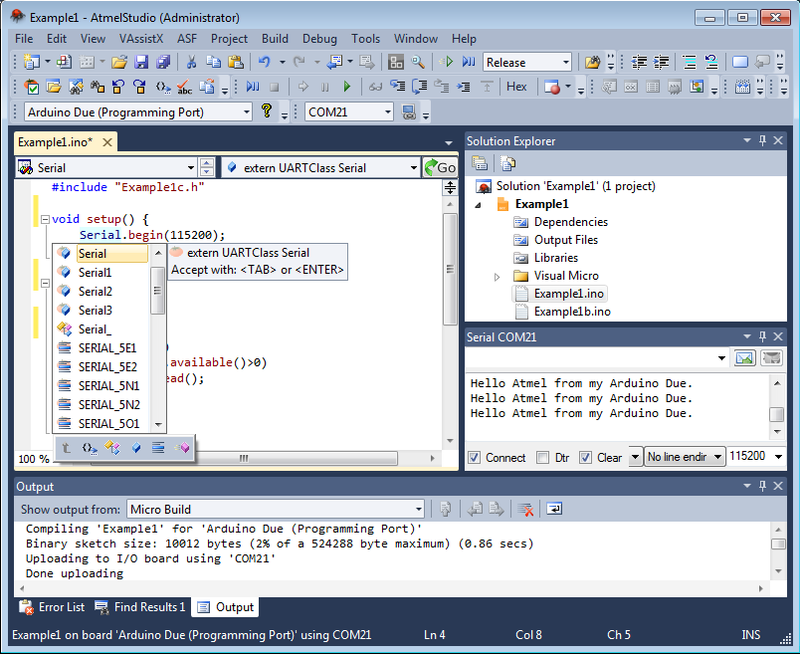 We have now released the Visual Micro plugin for Atmel Studio 6.2 which is based on Visual Studio 2010 and it is free. See the forum for more information. 2) Can you join the free Microsoft Bizspark offer? I don't know if you are planning a start-up business for your resulting project but if so then maybe this is way to get Vs Pro. I am no expert but as ling at you are in startup mode and/or your new business is less than 5 years old and turning over less than $1m you might well get approved for Microsoft Biz Spark. Add significant and primary functionality to the integrated Microsoft software. Be owned, not licensed by the Startup. Microsoft may permit individual developers or others and/or separate technology entities who may not meet the standard eligibility requirements to join BizSpark from time to time. Startups who are actively engaged in software development but have not yet completed the formalities of establishing a business. If you are developing dashboards, HTML editors, utilities, website, and similar technologies that are not considered primary service or application. 3) Are you a student? Checkout what Microsoft has to offer you! !